On August 9th, NEM, an enterprise blockchain solution creating ‘smart assets’, and Unibright, a framework for Blockchain-based business integration, announced a partnership to provide blockchain training to Unibright developers via the Global NEMsp Network. The partnership is a natural fit for both organizations. Unibright’s mission is to make it easier to integrate Blockchain technology into existing businesses, while NEMsp provides an education and business infrastructure for integrating new clients into the NEM blockchain ecosystem. 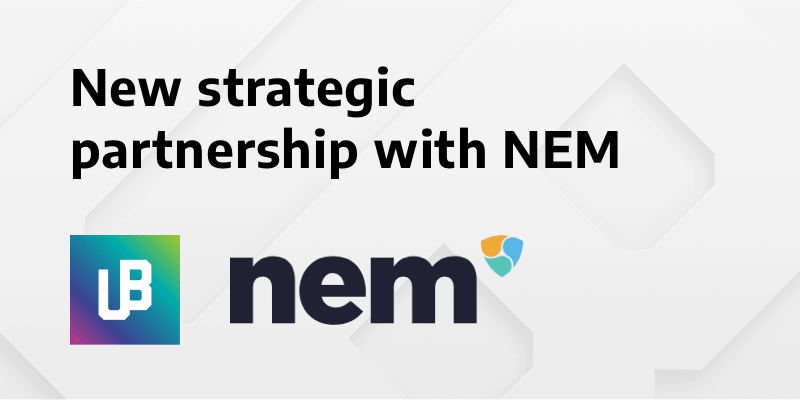 Unibright will become an official NEM Service Partner by training and certification through the Global NEMsp Network. The partnership between these organizations spells a positive sign for the adoption of blockchain technology amongst business enterprises globally.